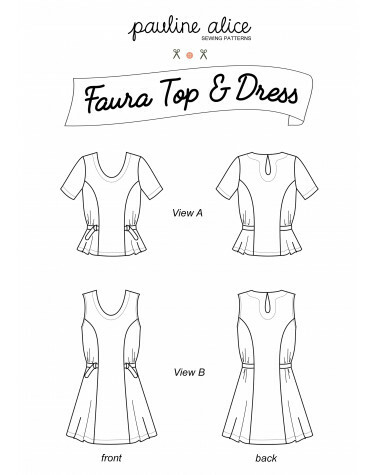 The Faura pattern doubles up as a short sleeves top and a sleeveless dress. Both views feature front and back princess cut, an A-line shape cinched at the waist with ties and D-rings. 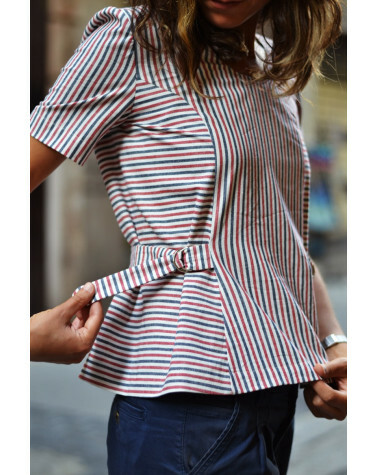 The back neckline is closed with a hook and eye. 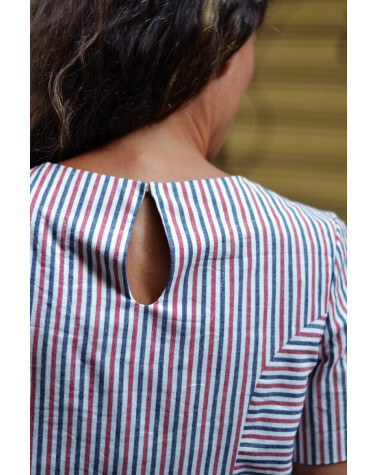 The View B dress has a central inseam pocket. Bea is wearing a size 36 and measures 1,72 m (5 ft 7). Pauline alice patterns are designed for a B cup bust and an average height of 1,65 m (5 ft 5).